Distilled in the Midwest from selective farming, Spearmint oil shows an intensely fresh, sweet, green-herbaceaous fragrance with a fresh topnote. Cooling, calming and regulating, this oil will appease general overstimulation and chill out acute emotional strains. 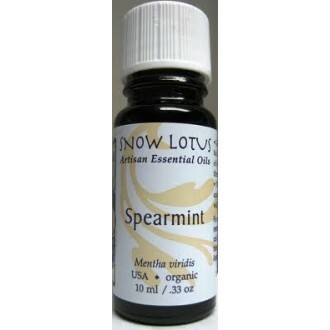 Spearmint creates a feeling of relaxed freshness, especially in hot weather. Soothing and cooling to the skin.